The final CD in the Sony Classical 61-CD box set of all of its recordings made by conductor Esa-Pekka Salonen is entitled A Nordic Festival. Salonen conducts the Swedish Radio Symphony Orchestra in what amounts to a survey of Nordic composers from the nineteenth and twentieth centuries. Most of the tracks involve familiar composers: Edvard Grieg, Carl Nielsen, and Jean Sibelius. For my generation Hugo Alfvén is also a “known commodity,” if not by name than by the opening theme of his first Swedish rhapsody, entitled “Midsommarvaka” (midsummer vigil), music that seemed to be favored by producers of the early generations of children’s television programming. The remaining composers on the album are Armas Järnefelt and Jón Leifs, who may be familiar to only a handful of my readers (if that many). Because these selections cut across the categories I formed to account for the rest of the collection, I decided that I would set aside a separate “Nordic preferences” category to account for the selections I had not yet discussed. These included albums devoted by Grieg, Nielsen, and Sibelius, as well as one for Lars-Erik Larsson and a rather enigmatic album devoted primarily to Anders Hillborg. Taken as a whole, this is a category that has its ups and downs; but, as far as my own personal tastes are concerned, the ups definitely outweigh the downs. One reason that my tastes are impressed is that, within the sixteen CDs in this collection, the composer that receives the most attention is Nielsen. That amounts to all six of his symphonies and all three of his concertos, as well as an engaging assortment of additional works. Like many I had never even heard of Nielsen until Columbia released a recording of Leonard Bernstein conducting the New York Philharmonic Orchestra in a performance of his fifth symphony in 1962 with an album cover that declared the music to capture “the drama of Denmark.” Like many (most?) contemporaries, my personal knowledge of Denmark was pretty much limited to Victor Borge and his preference for comedy over drama. Nevertheless, I would guess that all of us making our “first contact” with Nielsen through that album were arrested by his inclusion of a cadenza for snare drum, if not by the overall impact of the symphony. I moved to the Bay Area in 1995, an arrival that coincided with Michael Tilson Thomas succeeding Herbert Blomstedt as Music Director of the San Francisco Symphony (SFS) and Blomstedt’s assumption of the role of Conductor Emeritus. During his own tenure as Music Director, Blomstedt had championed Nielsen’s music, recording all six of the symphonies (along with a selection of shorter works) on four Decca CDs. In his Emeritus capacity he frequently returned to Nielsen’s music; and listening to his interpretation of the fifth symphony made it clear that there was far more to this music than its snare drum cadenza and that drama-of-Denmark marketing pitch. As a result I have become more sensitive to identifying conductors interested in Nielsen and the approaches they take. Most recently Alan Gilbert and the New York Philharmonic released recordings on the orchestra’s “house label” of all of the symphonies and concertos. As a result I felt well-prepared to address Salonen’s recordings, all of which were made with Swedish ensembles. My overall reaction is the wish that Salonen would visit SFS as frequently as Blomstedt and pay just as much attention to Nielsen. My hope is that listening to him conduct this repertoire in performance will have just as much impact as his recorded documents (and, hopefully, more so). The Sibelius offerings in this category are far more modest. The only symphony included is the fifth (Opus 82 in E-flat major). After he composed his first three symphonies (which seem to have become favorites in concert programs), Sibelius began to “push the envelope” when it came to questions of how a symphony should be structured. The results tended to be both enigmatic and intense, and the fifth seems to have garnered the most attention. Salonen’s recording presents a sure-handed reading that does not try to smooth over any of the rough edges, making it as valuable an account of Sibelius as is encountered in his approaches to Nielsen. Curiously, there are two recordings of the Opus 47 violin concerto in D minor. The earlier is with Cho-Liang Lin and the Philharmonia Orchestra, recorded in 1987; and the second is with Joshua Bell and the Los Angeles Philharmonic, recorded in 1999. 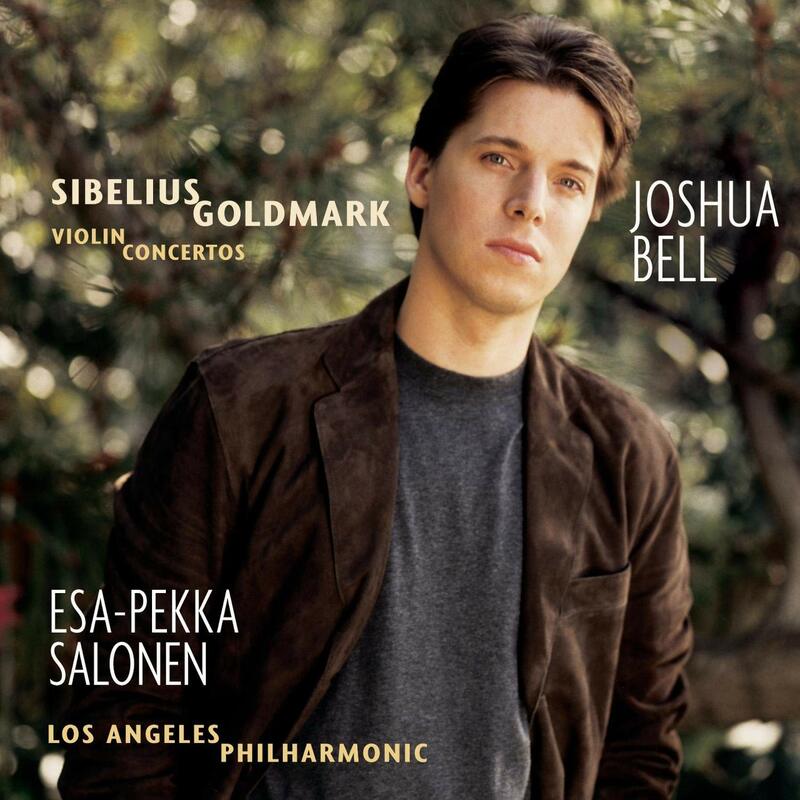 The Lin recordings predate the recordings for Salonen’s album of violin concertos by Sergei Prokofiev and Igor Stravinsky, made with the Los Angeles Philharmonic in 1992. Taken together all of these recordings show a powerfully productive relationship between conductor and soloist that consistently hits the mark when the rhetorical expressiveness of the early twentieth century is at stake. The Bell recording, on the other hand, seems to be more about Bell than about a conductor-soloist partnership. 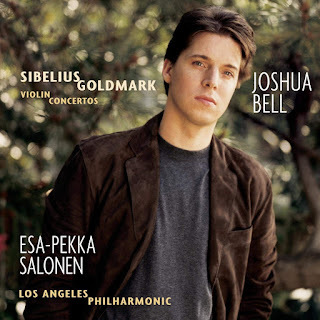 (On the original cover for this album, Bell’s name is given a larger font than Salonen’s!) Fortunately, Lin is also the violinist for the recording of Nielsen’s concerto. The Grieg recording consists of excerpts from the Opus 23 music written for a production on Henrik Ibsen’s play Peer Gynt. That means that it offers a lot more than the two suites. However, if I want “more,” I would prefer going for “all,” which is what I have gotten for many years from the Unicorn-Kanchana two-CD release, which was the premiere recording of the full score. The Larsson album is devoted primarily to the suite God in Disguise with Swedish texts both sung and narrated. Since the box set does not come with a text sheet for this, there is little that I can say beyond observing that Larsson’s style tends to be moderately pleasant. The one clunker in the collection is Jag vill se min älskade komma från det vilda (I want to see my beloved coming from the wild). This album is devoted almost entirely to the music of Anders Hillborg, one of Sweden’s most adventurous composers, whose influences include Brian Ferneyhough. Hillborg has a good relationship with Salonen; but, as a composer, he has been working freelance since 1982. That means he takes his revenue where he can get it, and the CD in this collection is devoted entirely to his work in the pop genre. As a result, if one wishes to talk about influences, it is probably the case that ABBA has far more to do with this album than Ferneyhough. My guess is that many listeners will find this particular album a refreshing change of pace from all of the other offerings in this box set, but I am not one of them!